The Voluntary Organisations Disability Group (VODG), who represent leading not-for-profit providers of services and support to disabled people, are backing a new development of the national training standard for restraint training. VODG said: “There has been a lack of quality assurance for restraint training and too often training focuses on restrictive interventions, without sufficient focus on prevention or de-escalation. 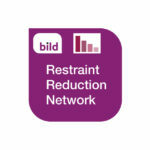 Find out more about the standards and the RRN on their website here.